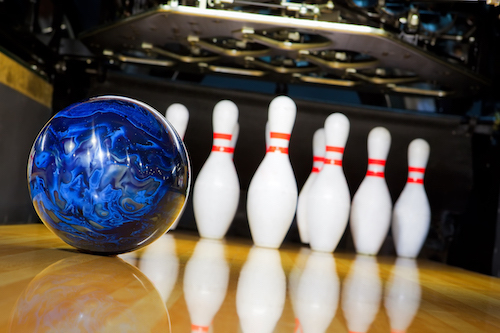 Eight bowling centers throughout metro Detroit will be used for the event, including Century Bowl in Waterford Township, Sterling Lanes in Sterling Heights, Bowl One Lanes in Troy, AMF Rose Bowl Lanes in Roseville, Super Bowl Lanes in Canton Township, Thunderbowl Lanes in Allen Park, Skore Lanes in Taylor, and Astro Lanes in Madison Heights. The International Bowling Campus, an educational, governing, and scientific center in Arlington, Texas, projects Detroit can anticipate an economic impact of $35 million from hosting the competition. The tournament is scheduled for July 11-28, 2019. This will mark the third time Detroit has hosted the Junior Gold Championships. The 2013 tournament in metro Detroit surpassed 2,000 participants. Participation has continued to grow and the Junior Gold Championships drew more than 3,100 participants in each of the last two years. Detroit also hosted the event in 2008. Additional sites for the national events were also announced. Dallas will be the host city in 2018, and following Detroit, Indianapolis will be the site for 2020. The USA Bowling National Championships feature under-12 and under-15 teams that qualify through regional events, while the Bowling.com Youth Open is a non-qualifying event open to all United States Bowling Congress youth members and features singles, doubles, and team events. The Junior Gold Championships was first conducted in 1998 at the National Bowling Stadium in Reno, drawing 538 participants. More information can be found here.